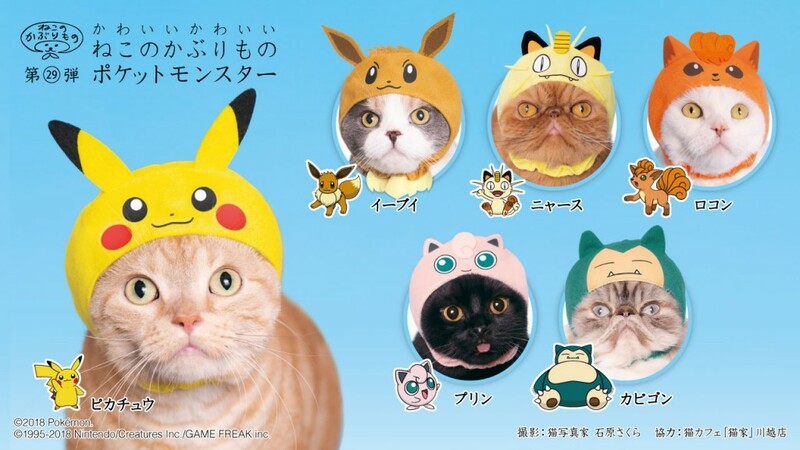 Evolve your pet into a Pokemon with these kawaii pet hats! | YumeTwins: The Monthly Kawaii Subscription Box Straight from Tokyo to Your Door! 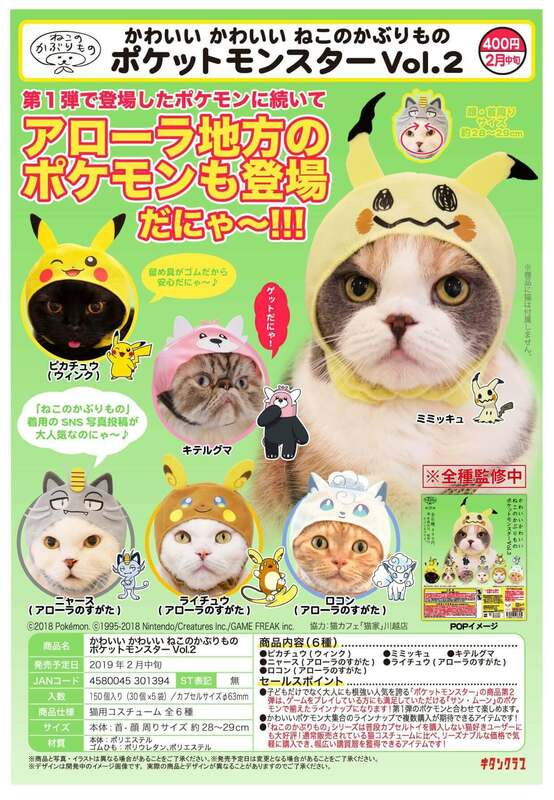 Evolve your pet into a Pokemon with these kawaii pet hats! Japan has always been pet costume crazy, you can't go for a walk without spotting a fashionable pooch in clothing! With the release of these pet cosplays too you'll be sure to see some pets in cosplay gear around too! The neko kaburimono series (lit 'cat wearables') has been extremely popular in Japan over the past few years, with a multitude of cute designs ranging from vegetables to witches! However this time there's an even more exciting collaboration... Pokemon! And despite the name having 'cat' in it, they're also perfect for small dogs and rabbits too! Now of course Pikachu is making an appearance in the lineup but what other adorable Pokemon made the cut? 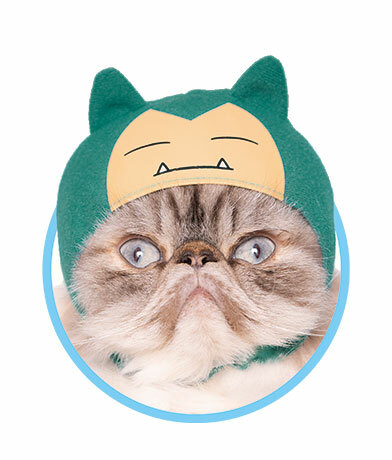 First up is the lazy Snorlax, and the cute puss modeling the Snorlax hat certainly looks like they love to nap! 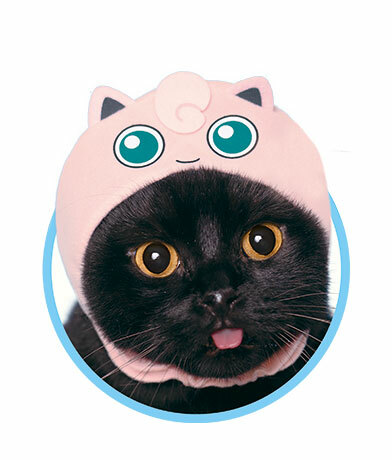 Next up is this kitty modelling the Jigglypuff version, don't they just exude an air of mischief like their Pokemon counterpart? And of course, what would this collaboration be without rising star Eevee! There are also Meowth and Vulpix designs available in this collection. If you're wondering where to buy these bad boys, then sadly they're only available in gatcha gatcha machines in Japan at 400 yen a go and you'll get one design at random. But here's to hoping they'll pop up online in the near future for purchase overseas. For lucky Twitter users in Japan, the producers of the neko kaburimono series, Kitan Club are running a competition on Twitter where users can post photos of their beloved pets making use of the Pokemon hats for a chance to win a special limited edition Pokemon cat hat! Twitter user Gura's adorable munchkin kitty models a couple of the designs! 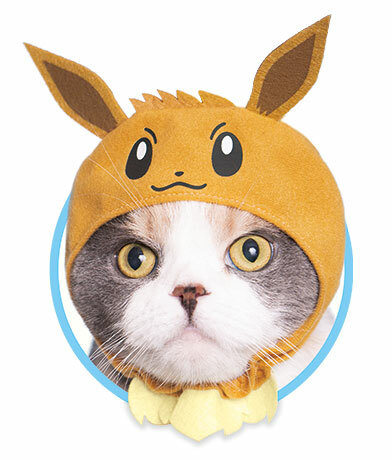 Twitter user Opo's cat appears as if it's straight out of Pokemon GO with it's Eevee hat! What's even more exiting is that a second series to this collaboration has been announced! From mid February you'll also be able to get your mittens on Mimikyu and other Alolan Pokemon in neko kaburimono form! Don't worry if you don't have a pet to cosplay Pokemon for you, you can take a note from this Twitter user instead and spend $$$$ on Pokemon plushies! Keep up to date with all the kawaii news coming straight from Japan by following us on Facebook, Instagramand Twitter! Want to get a FREE Japanese kawaii subscription box? Check out how to get one here!